Today we will be reviewing the best five Sealy mattresses in details, so read throughout the post to chose the one that matches your need. Sealy is an American brand that has built mattresses for 130 years since 1881. The company’s first operation was in Sealy, TX in1881 where Daniel Haynes, a cotton gin builder, started Sealy by making cotton-filled mattresses for friends. The year 1952 can be termed as the year of a turnaround for the company because this is the year that Posturepedic Technology was born. The company has utilized this technology to position itself at the forefront of mattress technology. Posturepedic Technology focuses on targeted, satisfying support in areas you need the most. Sealy’s aim is to set the highest quality standards in the mattress industry, one of the reasons they work with Orthopedic specialists when developing their technology and is the highest spender in research and development for the manufacture of mattresses. Sealy spends more than twice as much on research and development than its closest competitor, and more than all other manufacturers combined. The company’s Posturepedic technology is the most advanced bedding technology in the industry today and has more patents on mattresses and foundation technologies than any other manufacturer. All of Sealy mattresses are built in the USA and their focus is on durability besides comfort. The mattresses are rigorously tested for quality, comfort, and support. Sealy’s quality comfort materials determine the feel of the mattress, and how long it will retain its showroom comfort, but the quality and durability found in Sealy mattresses goes deeper than just the comfort materials. The foundations in Sealy sleep sets contain steel modules and a solid steel spine for increased support and durability. Its modules are silent, working to absorb the weight and motion without squeaking or rattling. Together, Sealy mattresses and foundations are geared to provide years of restful sleep. Posturepedic technology is targeted support right where you need it. This technology was developed with the help of orthopedic specialists to provide reinforced support where a sleeper needs it most. Out of the realization that 50% of a person’s body rests in the middle while sleeping, Posturepedic Technology was engineered to reinforce the center to support the back and core of the body. How Posturepedic Technology Supports You? It focuses on the heaviest part of your body to deliver reinforced support so that your body stays level while you sleep. The reinforced center evenly keeps you supported for a better night’s sleep. The 3 Sealy Lines: Which One Is For You? Sealy’s three lines of mattresses are designed to give you targeted support you need with the feel you prefer, it doesn’t matter which position you sleep. Every line is available with their exclusive Posturepedic Technology. Sealy three lines of mattresses are Sealy Response Line (Sealy innerspring line), Sealy Conform Line (Sealy memory foam line) and the Sealy Hybrid Line (half spring half memory foam). This is the Sealy innerspring line. It is available in three quality levels, namely Essential, Performance, and Premium. The Essential level uses standard support while the Performance and Premium levels use Posturepedic Technology and they cost more. Sealy innerspring mattress has precisely-engineered coils to provide as good a sleep as possible. Advanced, precisely-engineered coil systems are used to promote proper alignment while providing a “sleep-on-top” feeling. The Posturepedic technology provides stable, all-around support, with reinforced support under the heaviest part of the body. The Sealy Response Line Essentials, Performance, and Premium collections each have a different base price. The exact price depends on the model, the size, and the pricing from the retailer. The specifications for each Sealy innerspring mattress depends in large part on which collection it is a part of. The Essentials cover is a basic knit cover, its comfort layer is textured polyfoam and the base layer is Bonnell coils. Its cover is mid-loft knit cover, its comfort layer is textured polyfoam with second gel-infused support layer and its base layer is encased coils. 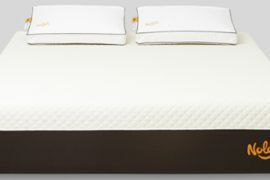 The performance and premium collections both feature Sealy Posturepedic technology, whereby additional foam has been included to reinforce the center portion of the bed. Additional support has been provided to the part of the bed that is underneath the heaviest part of your body. Sealy does not provide information on the density or other specifications for these foam layers. This can make it harder to comparison shop or to truly understand the composition of the mattress. l though there are several common features among the Essentials, Performance, and Premium lines collections, their differences are significant enough to have a major impact on their respective performance and durability. The Sealy innerspring mattresses all employ the same mechanism for providing support, starting with a base of coils with foam layers on top. None provide extensive contouring like provided in memory foam mattresses. The essentials have the most basic foam and coils and is least likely to be responsive to a customer’s weight and sleeping position. The Performance and Premium Lines offer more response and support because of the additional foam and with pocketed coils. The durability of the Sealy innerspring models is a mixed bag. The Essentials, again has the basic quality materials, basic-average durability. The Performance line does not score high marks for durability either, but the premium mattress scores above average. The Essentials and Performance lines are available in three firmness options: Plush, which measures 3-4 on the firmness scale, Cushion Firm measures 5, and Firm measures 6-7 on the firmness scale. The Premium line is available in Plush 3-4, Cushion Firm 5, and Ultra Firm which measures 7-8 on the firmness scale. Motion Transfer is the most noticeable on the Essentials collection line because they do no have individually-encased coils. None of the innerspring mattress collection has the type of contouring properties that most dramatically isolate motion. Sealy innerspring mattresses do not have serious issues with sleeping hot but the risk of sleeping hot may be higher on more plush mattress models that permit greater levels of sinking into the top layer. This is the Sealy line of memory foam mattresses. Like the Sealy Response Line, the Sealy Conform Line is also available in three levels. The Conform Line Memory Foam Mattresses is a body-hugging line of mattresses, uses all types of foams, as well as the option of Sealy’s Posturepedic technology to provide support and comfort tailored to your body. 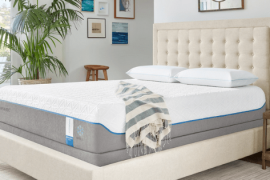 The Sealy Premium Collection is at the top with a soft-to-the-touch cover, advanced chilling gel memory foam, and a reinforced edge support system. The Conform Performance Collection ranks in the middle is similar but without the soft or cool to touch cover and reinforced edge. 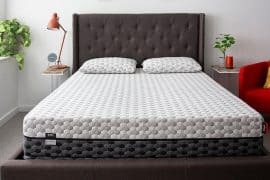 The Conform Essential Collection is the entry level, has a more basic stretchable cover and doesn’t have Sealy Chill Memory Foam like the other two collections. All the Sealy Conform mattresses have Sealy ComfortSense memory foam among the top layer and Sealy Support Gel Foam in the base layer. Basically, the Sealy Conform Essential Collection is a gel memory foam mattress, the Performance Collection adds an extra cooling Chill Memory Foam, and the Premium Collection adds a Cool-to-the-touch cover and a reinforced edge. The range of Sealy Conform mattresses offers a trade-off of features for the cost. All the beds include gel memory foam so even the Sealy Conform Essential Collection is a decent mattress. Sealy uses a combination of foam, memory foam, and advanced gel foam to deliver the cushioning support needed for body-hugging feeling. Denser foam is used in the Posturepedic technology for reinforced support where it’s needed the most. Sealy Conform mattresses in the essential collection are designed with a comfort layer made of Sealy ComfortSense foam and a support core made of SealySupport Gel polyfoam. 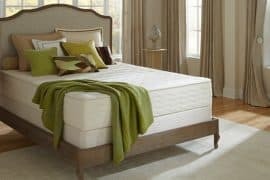 Sealy Conform line of Performance collection uses comfort layers with two key components: a top layer of Sealy Chill Memory Foam and a bottom layer of ComfortSense memory foam. The support core is made of SealySupport Gel polyfoam. The premium collection like the Performance collection employs Sealy Chill Gel Memory Foam and ComfortSense memory foam in the comfort layer, and Sealy Support Gel polyfoam in the support core. All the three Sealy Conform line of collections include covers made of Ultra-Stretch ComfortLoft fabric. It is used in the quilted covers of the Premium collection, as well as on the Gel Memory Foam in the Premium and Performance collection line of Sealy Conform mattresses. It is a phase change material; therefore, it regulates temperature by how it changes its physical state to absorb or release heat. Moisture Protect regulates moisture by wicking it and transporting it to where it can evaporate. This also contributes to temperature control because warmth stimulates perspiration, and evaporation cools. Is the latest innovation in gel memory foam, designed to respond to your body’ unique shape for a more comfortable night’s sleep. This is a high-density foam core with gel. It provides conforming back support and lasting durability. This is top-of-line-cover available on the Premium line models. The cover is super-stretchable, mid-loft knit fabric designed to give the mattress top layer that better conforms to the body. It’s also soft to the touch and promotes cooler, more comfortable sleep. Sealy Hybrid mattresses combine innersprings with memory foam, and the added targeted support of Posturepedic Technology. Posturepedic Technology is exclusive to his mattress delivering reinforced support under the heaviest part of your body with 20% more coils and also provides the “sleep-on-top” feeling and comfort you expect from innerspring. Sealy Hybrid mattresses also come in three line of collections: Sealy Hybrid Essential, Sealy Hybrid Performance, and Sealy Hybrid Premium collections. 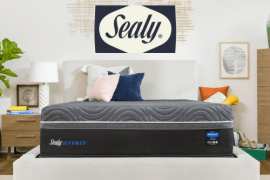 The Sealy Hybrid Essential has a typical hybrid construction without the zoned coil support, memory foam or cooling cover found in the Performance and Premium collections. The Hybrid Performance and Hybrid Premium marked a serious commitment to make a competitive Hybrid mattress, and they’ve been popular since their arrival. The Hybrid Performance and Premium collections have Posturepedic zoned coil technology for better support for the heavier parts of the body. These two also feature cooling memory foam and the premium collection adds a cooling fabric layer, a layer you can feel is actually cool to the touch. 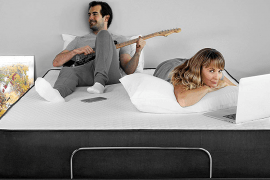 The Sealy premium is a 14.5’’ profile of two layers: one of memory foam and one of pocketed coil. The materials in this mattress are more advanced than in the Hybrid Essentials with extra cooling in the memory foam and added Posturepedic Technology in the support coils. While Essential Hybrid is only available in Firm, the Premium Hybrid is available in Plush, Ultra Plush and Firm. The cover is made up of the brand’s ChillTech UltraStretch material. It is soft and cool to the touch. The fabric has a knit quality to it, which makes for a cozy feel for some immediate comfort. Next to the cover is the Comfort Layer; has a thick layer of advanced memory foam. This offers deep body contouring and pressure relief. The foam is denser and allows you to sink into the material for a snug feel. This intense sinkage would normally lead to overheating, but Sealy mitigated this with a gel infusion that helps to keep things cool throughout the night. Directly below the Comfort Layer is the Support Layer of pocketed coil system. It adds a bouncy support to the structure. The Support Layer is also outfitted with a special section of zoned support at the lumbar region that also includes Posturepedic Technology. This provides optimal pressure relief along the spine. When you apply a light hand pressure to the mattress you find you immediately interact with the gentle memory foam comfort layer. You sink into this section with ease and the material is contoured pleasantly around for a person’s body. Pushing in further you encounter the pocketed coils which lift you up and out of the structure. While there is a bit of variation among the responses, Hybrid Premium lands on an average firmness rating of 6.6, which puts this mattress pretty squarely medium firm. Lying on the back, your weight is evenly distributed across the surface of the mattress. You can feel yourself sinking into the memory foam comfort layer, with the material doing an excellent job of filling in space at your lumbar region. When you move as close to the side of the bed, you feel secured because the extra edge support coils maximize the usable surface area of the mattress, so you can sleep comfortably all the way to the side. Sealy Response Essentials focuses on affordable prices, offering value on the quality comfort you would expect from Sealy. It utilizes tried-and-true innerspring systems to deliver comfort and support. We tested this mattress and so here is what you need to know about it. Sealy Response Essentials 11-Inch Cushion Firm Tight mattress delivers beyond the basic, providing quality support and comfort at an affordable price. On the top is Stretch Knit Cover then 2-inches of SealySupport Firm Foam for comfort followed by 2-inches of SealyCushion Air Foam formed with peaks and valleys to allows airflow, and Response Coil System for support with SolidEdge HD System foam for edge support. Sealy’s response line features the conventional, but evergreen innerspring mattresses offering quality support with on-the-top cushion comfort. This mattress hold, support and facilitate easy movement in and out of bed, and was designed for people who prefer a more familiar mattress feel. Consisting of three layers, Sealy Response Essentials Cushion Firm mattress provides a good firm support for those that prefer a firm mattress.That said, it may not be for everyone because it lacks a specialty foam like memory foam or latex which means no contouring. In this case, side sleepers may experience pressure discomfort or sometimes pain. The Response Line mattress includes individually wrapped and cased coils, with each coil moving independently for targeted support and reduced motion transfer. Sealy cushion foam is used on the top layer of the mattress for softness. 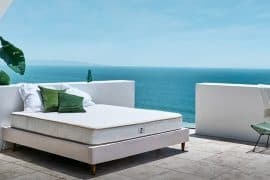 The 638 coils for the mattress and the exclusive response coil system provide a good balance of comfort and deep-down support for superior nights rest. SealySupport firm foam provides comfort and is a quality firmer foam for a more supportive feel. The Solid Edge HD system is a reinforced foam border around the mattress edge so you can use the full surface of the mattress, as well as it provides a solid seating surface. Besides SealyCushion air foam top layer with peaks and valleys providing additional airflow, it also adds softness for more comfort. The Stretch knit fabric cover is soft to the touch for added comfort. This is an innerspring mattress. Generally, innerspring mattresses sleep cool. In this case, Sealy also uses 2-inches of SealyCushion Air Foam formed with peaks and valleys to allow air flow which creates coolness. In addition, innerspring mattresses tend to retain less body heat than other mattress types and will sleep cooler as a result. Sealy Response Essentials 11-Inch Cushion Firm Tight mattress has a firmness rating of 7. Basically, this is a medium firm mattress, focusing more on body contouring and pressure relief. This mattress is a good choice for back sleepers and some stomach sleepers, but not side sleepers. What Is Unique About This Mattress? Steel coils were invented in 1857, but German inventor Heinrich Westphal was the first to place them in a mattress, in 1871 in fact, and thus the innerspring mattress was born. The core is the main part of the mattress, where all of the springs and coils are. The number of springs and coils vary, but the more springs there are, the thicker the coils, the better the support. The coils featured here is the individually encased coils, which is an advanced coil technology. This coil is individually wrapped in titanium or steel, which offers better contouring of the body and more pressure relief. It also translates motion less than other types of coils. Our team gives this mattress 7.5 out of 10. Sealy innersprings offer strong edge support and a relatively cool sleep surface. However, in keeping the price of Sealy Response Essentials 11-Inch Cushion Firm mattress low, Sealy did not use any of the specialty comfort foams like memory foam or latex. Instead, they only used polyurethane foam for comfort. It still gets a 7.5 out of 10 by our team because the coil system is not bad and the overall comfort during test was also good. The top is Stretch Knit Cover, followed by 1-inch SealyCushion extra foam and 1-inch SealySupport foam pillowtop coupled with Response Pro Encased Coil System. Sealy Response Pro Encased Coil System uses barrel-shaped coils to give you the right support where it most matters. The coils are encased, allowing each of them to move independently for more accurate support and reduced transfer of motion so you are not disturbed in sleep. This Sealy Response Performance Cushion Form mattress has a nice comfort feel that strikes a delicate balance between firm support and soft comfort. Even though this mattress is termed as a cushion firm, it really feels like it’s medium as far as firmness because of its pillow top. Sealy also includes memory foam in the lumbar area to provide more support where it’s needed. The Sealy Response Performance 14-Inch Cushion Firm Euro Pillow Top mattress allows you to sleep comfortably with conforming memory foam. The Edge System is a high-density border surrounding the mattress and gives you more sleeping surface and prevents the mattress from extreme sinking when pressure is applied to the sides. Posturepedic technology provides reinforced support under the heaviest part of the body, for even more support where its needed most. The SealySupport Foam layer helps the mattress achieve a solid underlying feel, and it works along with the Posturepedic Technology SealyCool Gel Memory Foam in the center third to deliver increased support to the lower back. 1 inch SealyCushion extra soft foam and, 1 inch SealySupport foam pillowtop and Response Pro Encased Coil System for more targeted support. Additional layers of comfort of 1.5 inch SealyCushion extra soft foam. This is a high-quality foam that provides a more supportive. 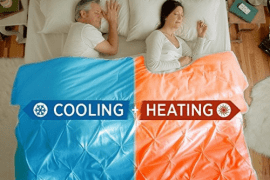 Like the Sealy Response Essential, this mattress also sleeps cool attributed to its coil system and also uses the cooling gel memory foam to improve on that as well. ComfortLoft Cover with MoistureProtect and AllergenProtect is a durable knit breathable fabric designed to wick away moisture and help keep you comfortably cool as you rest; provides comfort and soft feel next to the body. Performance enhancement has been achieved in the cover fabric to draw moisture away from the body during the night. This helps to keep the body more comfortable and protects the mattress from common allergens, such as dust mites. According to our testing, our team gives Sealy Response Performance 14-Inch Cushion Firm Euro Pillow Top Pro mattress a 5.5 out of 10, with 10 being the firmest. The Cushion Firm mattress has a nice comfort feel that strikes a delicate balance between firm support and soft comfort. Its firm enough for the firm mattress lover to sleep on the back and stomach. It’s also good enough for contoured support to your lower back, but still a little too firm for most side sleepers who will likely find too much pressure in the hip and shoulder areas. Our team gives Sealy Response Performance 14-Inch Cushion Firm mattress a 7.8 out of 10 because of the Posturepedic zoned technology, the Gel Foam, and the Duraflex edge system. These make Sealy Response Performance mattress stand out but at the price point of $929 for a queen, Sealy should have included more than just polyfoam as the main comfort layer of this mattress. Still, it’s a worthy buy. The top is Stretch Knit Cover followed by a layer of Sealy Chill Gel Memory foam and a bottom layer of 1.5-inch ComfortSense memory foam. The support core is made from 8-inch SealySupport Gel polyfoam. The ComfortSense foam is a conforming gel memory foam with Sealy’s advanced cool-to-the-touch Chill Cooling Technology added to the surface. The SealySupport foam provides a durable base for the mattress to prevent sagging. The Stretch Knit cover provides added comfort. Sealy Conform Performance 11.5-Inch Cushion Firm Mattress provides a good balance of sink in feel and support. The Sealy Conform Performance Memory Foam mattress is boosted by the contouring effect of memory foam to provide support. By responding in proportion to the weight and pressure that is applied, memory foam helps to offer support where it is needed. This goes to help the spine in alignment, aligning it properly reducing the risk of back pain. Mattresses with thin or basic memory foam comfort layers are not able to provide this kind of support. This because such a foam is not strong enough to adequately conform the pressure, thus not ideal for people who weigh more than 230 pounds or who have very pronounced pressure points. This memory foam mattress provides conforming support for every part of your body attributed to its use of a combination of foam, memory foam, and advanced gel foam to provide body-hugging comfort feel and the cushioning support needed. As you can see Sealy Conform Performance Cushion Firm mattress uses several variations of foam. Zoned support creates a reinforced cent that supports the heaviest part of the body. Sealy ComfortSense Foam layer is positioned in the middle. ComfortSense is the latest innovative gel memory foam designed to respond to your body’s unique size and shape. A reinforced edge creates durable support if you are sitting on the side of the bed and also extends the sleeping surface. The result of all these layers is quality and comfort you are accustomed to finding from Sealy. Sealy Conform Performance 11.5-Inch Cushion Firm mattress has cooling gel to both the memory foam comfort layer of the mattress and the base support layer. This gives the mattress a good cooling feature. The contouring effect of memory foam can cause a person to sink deeply into the mattress, which can limit airflow around the body causing the mattress itself to retain heat. Infusing the foam with gel is one way of trying to prevent heat retention. The Ultra-Stretch Comfort Cover with MoistureProtect is designed to draw moisture away from the body during the night, which helps to keep you more comfortable. The cover mid-loft fabric is integrated with Chill Cooling Technology to help keep you cooler throughout the night. The Sealy Chill Gel memory foam is placed right underneath the fabric cover and employs advanced cool-to-the-touch technology. According to our testing, this mattress has a firmness rating of 6 out of 10, with 10 being the firmest, so basically, it is a medium firm feel. Sealy Conform Performance 11.5-Inch is a Cushion Firm Mattress so it achieves the balance. A firm mattress usually has a little bit of give, but still provides a harder sleeping surface on the mattress. If you tend to wake up with back pain on a softer mattress, a firm mattress may be the ideal choice for you. This firm mattress feature 1-inch or less of sink-age or hug. It floats the sleeper on top of the surface of the mattress. A small amount of give can develop over time but not to the point of a plush mattress. You get more give out of this cushion firm mattress from the start. Our team gives Sealy Conform Performance 11.5-inch mattress 8 out of 10. 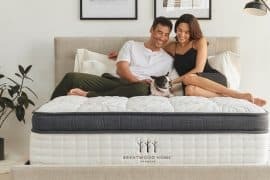 The cooling gel in the inter mattress is a very good feature but Sealy should have added more than 1.5-inches of memory foam in this mattress for it to feel more contouring especially at the price point of $1299 for a queen. This Sealy Conform Performance mattress comes with a 10-year limited warranty that covers defects in materials and manufacturing. You can find full warranty details at Sealy’s web portal. 2-inch Immersion Advanced Cooling Memory Foam with Chill, 1.5-inch ComfortSense Foam, 1-inch SealySupport Extra Soft Foam pillowtop and Response Pro HD Zoned Coil System. This Sealy Hybrid Premium mattress features a 14-inch profile of two layers, one of memory foam and one of pocketed coils. As you can see the materials are more advanced with extra cooling in the memory foam and added Posturepedic Technology in the support of the coils. With extra gel memory foam at the top of Sealy Posturepedic Hybrid Premium Silver Plush mattress, it creates a very soft and comfortable sleeping surface that contours your body and provide you with the support that you need. Sealy Hybrid Premium Silver Plush mattress has 5-inch of comfort material at the top of the mattress. Out of the 14-inch mattress height, you feel it when you lay down on your side. The mattress seems to hug your body and welcome you into your new sleeping position. For side sleepers, this mattress scores 5/5 because of the lack of pressure on the typical pressure points and overall hard-to-get-back-up comfort. The 14-inch Silver Plush is an all-round comfortable mattress. Since there is gel memory foam in the top layer of the mattress, you can feel it come up to meet your lower back and gradually conform to your body so it provides all the comfort and support you need. For the back sleeper, this mattress scores 4/5 because it is so soft that it will not suit many back sleepers who are used to harder mattresses. Stomach sleepers will find the Hybrid Silver Plush mattress a bit uncomfortable because of the much soft gel memory foam at the top, side sleepers sink in an uncomfortable manner and feel some discomfort in their lower back. So it scores 3/5 for side sleepers because of the possibility of lower back discomfort. Sealy Plush Silver Premium is called a Hybrid because of top of the line body contouring support and comfort without any of the drawbacks that typical mattresses have. Gel memory foam provides a very good body contouring comfort, while underneath the individually encased coils provide incredible body contouring support that caters to any person’s unique shape. Hybrids generally sleep cool. This bed uses the Sealy cooling technology to provide a cooler sleep. Our team did not feel like this mattress made them sweat during the testing nights. Sealy Chill Technology is included in both the cover and on the sleep surface of advanced memory foam that’s cool to the touch. This is called DuoChill Cooling System for two times the cool-to-the-touch comfort. Has side panels that use a breathable border fabric that allows more airflow to help keep you more comfortable during the night. Cooling Gel Memory foam is infused with cooling material that keeps you comfortable throughout the night. According to our team testing the mattress, they gave it a soft rating of 4 out of 10, with 10 being the firmest, so basically a soft feel. By applying light hand pressure to the mattress you find you are immediately interacting with the gentle memory foam comfort layer. You sink in with ease and the material contours pleasantly around your hand. Pushing in further you encounter pocketed coils, which lift you up and out of the structure. The pocketed coils do a great job of supporting the sleeper even as he/she sinks through the comfort layer. This combination of relief and support does wonders for a variety of sleepers but is ideal for those who sleep on their sides. Our team gives Sealy Posturepedic Premium Silver Plush mattress 8.2 out of 10 because of its well-designed comfort layer, its supportive coil system and build of premium quality. However, the price point of $1999 for a queen is its only shortcoming. The Cocoon mattress is a mattress in a box made by Sealy. Cocoon is Sealy’s answer to the bed in a box industry. It is available in 2 levels of firmness, a firm and a soft. The mattress cover is made with spun poly fibers to make it breathable. The soft firmness Cocoon has 3 layers of foam while the firm firmness has 2 layers. Cocoon mattress construction consists of: Phase Changing Cooling Cover, 2-inch memory foam, 2-inch comfort poly foam and 6-inch support High-Density Foam. This mattress is constructed with a comfort layer of memory foam and a support layer of polyfoam. Cocoon is available in two different models, Cocoon Classic and Cocoon Chill. The difference between the two is the cover. The Classic’s cover is made of a blend of polyester and cotton, while the Chill is made of a polyester-cotton stretch-knit cover containing phase-change material to be cool to the touch. Motion is contained well when the sleeper is moving about the mattress. The phase change material is cool to the touch mitigating the normal heat-trapping found in most foam mattresses. The Sealy Cocoon has a 3-layer construction of soft top, medium core, and firm base to accommodate most sleepers. We found the Cocoon to be a comfortable sleep for both side and back sleepers. The cover is made of 100% polyester and has a very soft feel to it. We found it to be very breathable, which is important in helping to prevent the mattress from trapping heat. The cover doesn’t bunch up much when adjusting position during the night. It’s also thin enough that it doesn’t interfere with the feel of the top layer of foam. There is an alternative model of this cover, the Chill mattress, that uses phase changing materials to help regulate temperature. The Chill Cocoon is a bit more expensive than the Classic by about $150 difference. The Cocoon Classic Firm’s comfort layer consists of 2 inches of memory foam. Memory foam is known for its ability to contour to the body and provide pressure relief. Sealy doesn’t disclose the densities of the foam used in the Cocoon but we can say that this layer responds pretty slowly to pressure and we experienced a little bit of sinkage when lying on the mattress. In the Soft version of this mattress, the memory foam layer is immediately followed by a 2” poly foam layer. That layer is meant to act as a transition from the soft memory foam to the high-density base layer, which would allow the sleeper to sink into the mattress a bit more and provide some pressure relief. The Cocoon Firm has an 8”high-density poly foam base. This layer is meant to support the sleeper, give the mattress its shape and act as the foundation for the construction as a whole. By transitioning directly from the memory foam comfort layer to the base layer, the sleeper will have greater interaction with the support components of the Cocoon, creating a firmer feel overall. In the Cocoon Soft, the base layer is 6” of the same high-density foam. By reducing the size of the base layer and replacing 2 inches of the high-density foam with transition poly foam, Sealy moves it further from the sleeping surface, creating a softer feel. The Phase Changing Cooling Cover made this bed a sweat-free mattress for our team as we did not feel hot sleeping on it for the duration of the testing nights. Phase change materials are substances that change from one phase – liquid, solid or vapor – to another phase depending on their temperature. Phase changing materials absorb/release large amounts of energy and keep a consistent temperature. Sealy Cocoon mattress phase changing materials Outlast uses, are designed to absorb body heat that you release during the night. Say you naturally sleep hot, are prone to night sweats or have a mattress that doesn’t breathe well, the PCM will pull that excess heat away from your body and store it. Sealy bed in a box Cocoon Mattress comes in two firmnesses. we tested the firm Cocoon mattress and it was 7.5 out of 10, with 10 being the firmest. Everybody feels the firmness of a mattress differently, due to differences in body type and size. All testers had a similar feel for the Cocoon Firm of 7.5. we consider medium firmness to be more in the 6/10 range. When we pressed into the memory foam it had an initial firmness to it before beginning to contour. Our team testing felt sinking into the mattress slightly but the quick transition to the base layer kept them from getting stuck. The short top layer also means that we were able to adjust position on the mattress pretty easily. Lastly, the high-density base layer provides good support. Our team gives this mattress 8.5 out of 10. 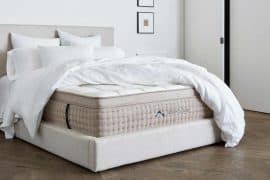 The Phase Changing Cooling Cover, the 3-layer construction, free delivery, and pillows is a good deal for a $849 Sealy mattress and so we rate it the best Sealy mattress to date. Does Sealy have more mattresses than these? Yes. Sealy offers a wide range of mattresses varying in terms of size, height, and firmness rating in order to accommodate a wider range of customers. Sealy mattresses are widely available at brick-and-mortar locations across the country that being said mattress pricing details are limited due to varying costs from retailer to retailer. What is the warranty on Sealy mattresses? Is Sealy better than Serta? Both are highly respected American brands that have been making beds for more than a century. There are some differences between them, however. Sealy likes to make softer beds while Serta’s beds are generally firmer. Sealy is famous for its Posturepedic technology and coil mattresses overall, especially in their Stearns and Foster line. While Serta is famous for its all-foam mattresses especially the iComfort. The main thing that both have in common is that at lower prices both Serta and Sealy mattresses seem to perform lower than average. However, at price points, $1499 and up both brands make some of the best mattresses that we have ever got the opportunity to test tested. Is Sealy made in the USA? Yes. We have never come across mattresses made by Sealy that were built overseas. Is Sealy and Stearns & Foster the same company? Yes. Stearns & Foster mattresses are made by the Sealy brand. Is Sealy a good mattress brand? Yes. Keep in mind, however, that you will almost always get what you pay for. For example, don’t expect a $599 Sealy mattress to perform like a natural luxury mattress priced at $1499. Sealy is a very large company that wants to serve all the different types of buyers by offering good expensive mattresses to some customers and average performing cheap ones for the budget concerned customers. Are Sealy mattresses sold in Costco? Yes. Costco does sell some Sealy exclusive to Costco only mattress. 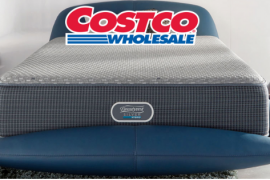 You can see our Costco mattresses reviews here. Sealy is one of America’s leading mattress brands and has very many user-submitted reviews testifying how good their mattresses are. Sealy Posturepedic, Sealy Conform, Sealy Response, and Sealy Hybrid are some of the leading mattress lines in the country.